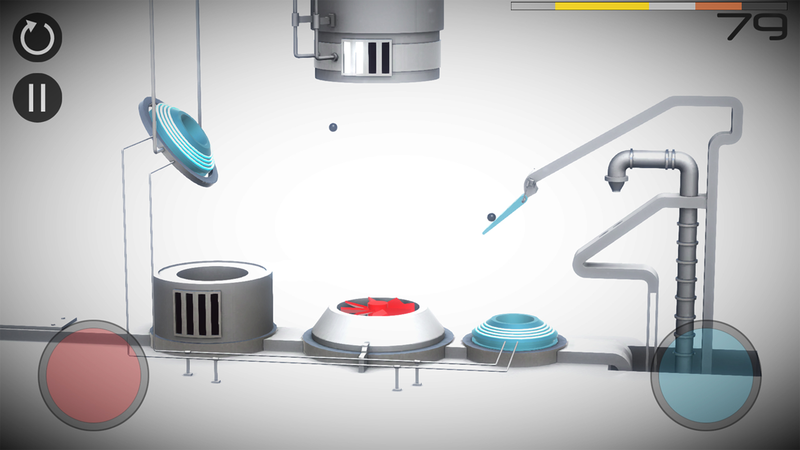 In Perchang, all you need to do is get the little metal balls from one side of the screen to the other. You can't just let them roll over there, though. 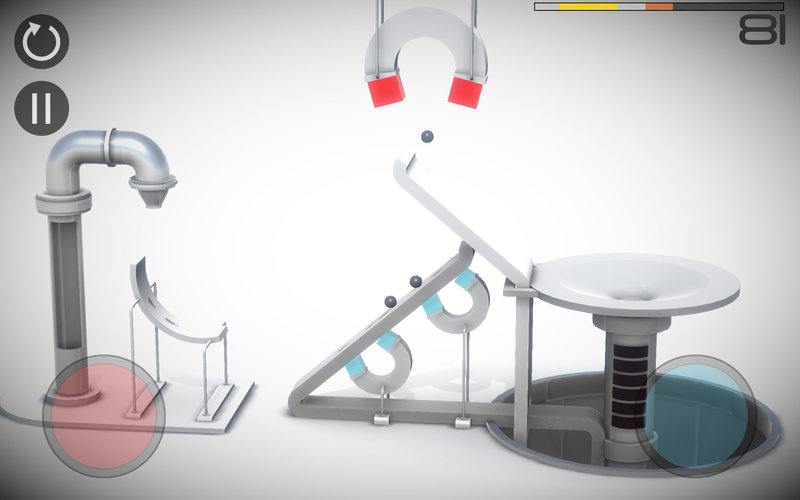 There are flippers, ramps, fans, magnets, and other contraptions to control in each over-engineered level. Oh, and you're scored based on how quickly you figure it all out. No pressure, though. 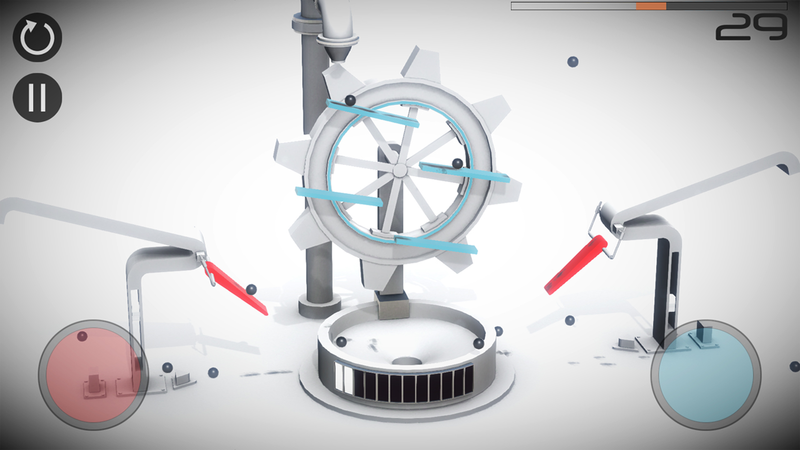 The game starts you off with simple levels that only require you to hold a button that tilts a platform to win. 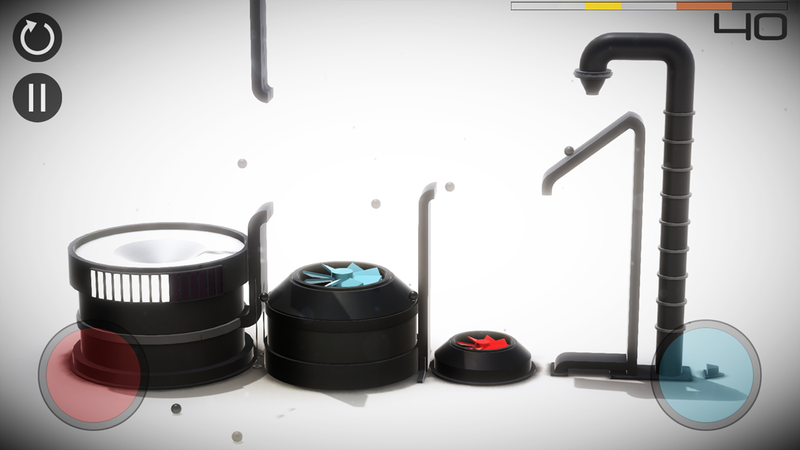 Then it adds a second button, then controllable fans, then flippers, and so on. Many of the mechanisms have to be assigned to one button or the other manually so you can run the entire thing. There are 60 total levels, and they get pretty hard. 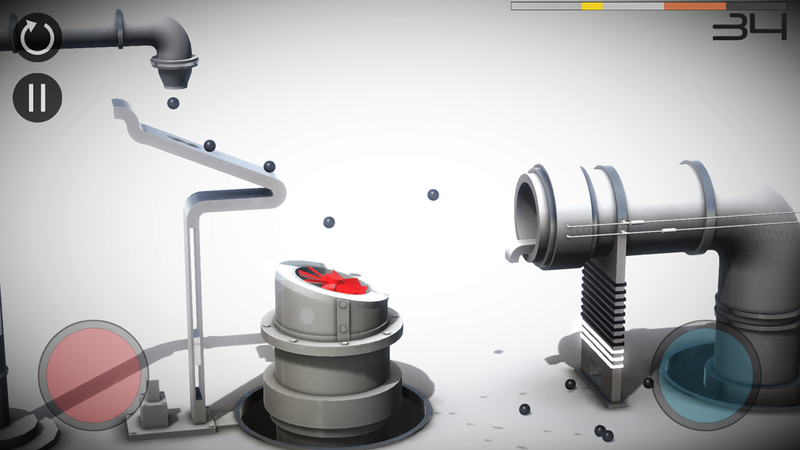 If you like pretty 3D graphics, Perchang has you covered there too. All the levels look like something out of Portal. You can play through all of them for free, if you want. There are video ads in between every few levels. If you can't stand the ads, you can pay $1.49 to get rid of them.